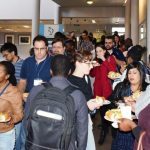 The proteomics community of South African came together for a week of proteomics events in the month of August 2018. 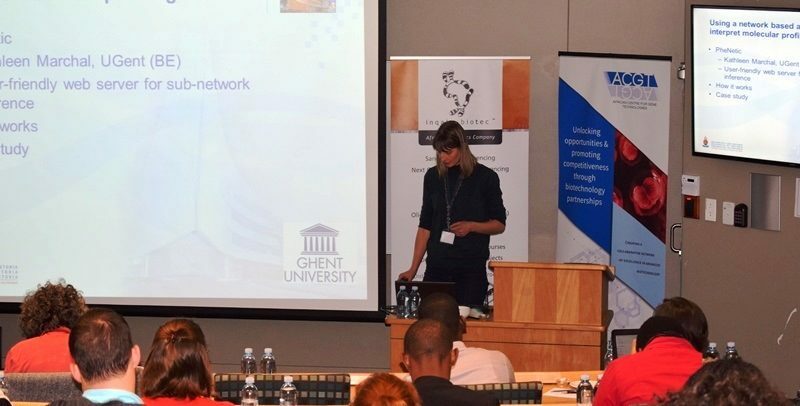 In this week, two events organised by the ACGT, CSIR, DILPOMICS and the Universities of Cape Town and the Witwatersrand took place. 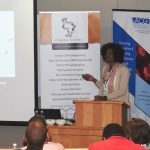 The Advanced Proteomics Workshop was facilitated between the 20th and 22nd of August 2018; which was followed by the South African Proteomics Symposium a day later. 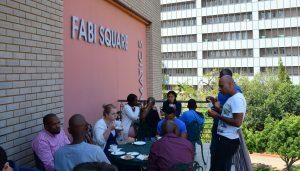 Both these events were hosted at the Wits Parktown Health Sciences Campus. The proteomics week kicked off with the Advanced Proteomics Workshop, which was facilitated by three world experts in the field. Each facilitator gave a series of lectures and hands-on exercises in the field which were highly respected for. 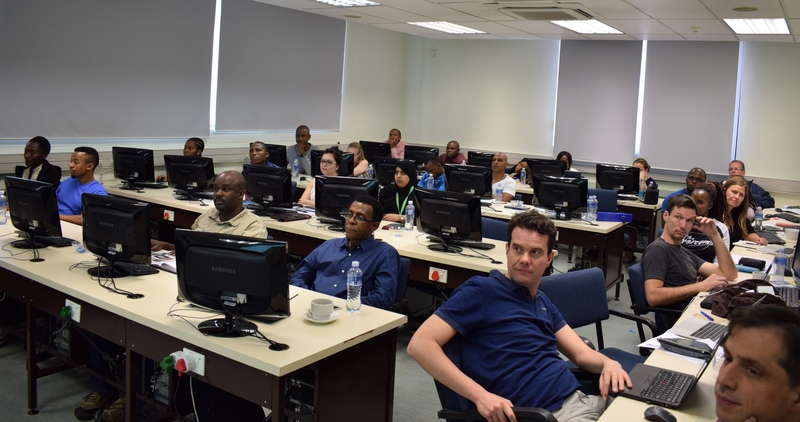 In the three days dedicated to the workshop, the delegates were taught different aspect of Spatial Proteomics, Clinical Proteomics and Quality Control. 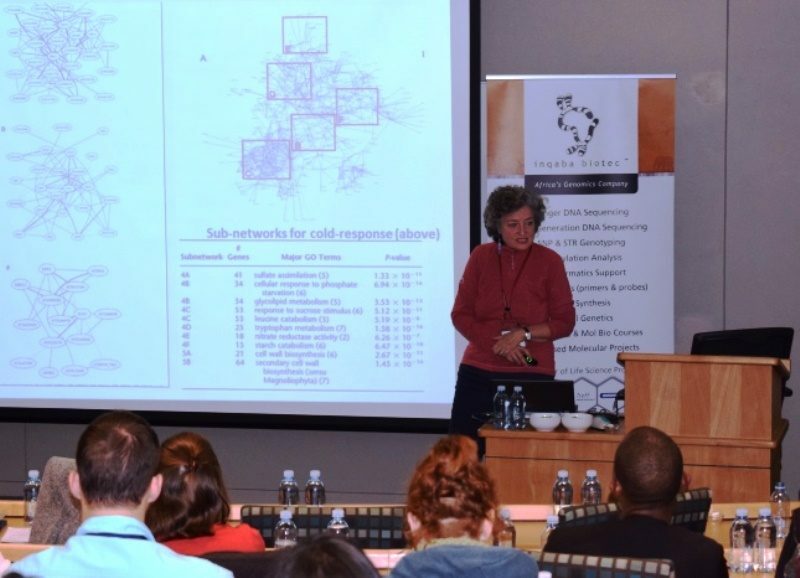 The workshop began with Prof Kathryn Lilley (Research Group Head and Director, Cambridge Centre for Proteomics, University of Cambridge) taking the delegates through a series of lectures on Quantitative Proteomics and Spatial Proteomics. Included in Prof Lilley’s sessions were tutorials on Experimental Design, which enabled the delegates work on different scenarios to design effective experiments. 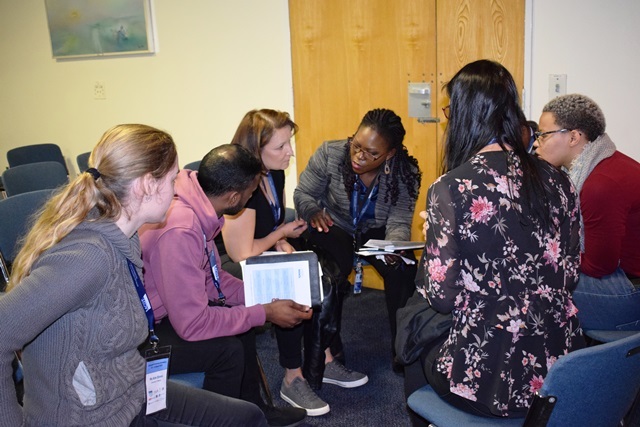 These tutorials allowed the delegates to think outside the box and helped them think through their own experiments and how they would design them in the future. Prof Stephen Pennington, a professor of Proteomics and Senior Fellow at the Conway Institute of Biomolecular and Biomedical Research at the University of College Dublin, took over from Prof Lilley and facilitated the Clinical Proteomics section of the workshop. The last section of the workshop, Quality Control, was presented by Prof David Tabb. 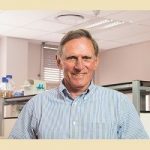 David Tabb is a Professor in the Division of Molecular Biology and Human Genetics at the Faculty of Medicine and Health Science at Stellenbosch University. Prof Tabb combined his lectures with tutorials and assisted the delegates to work with real proteomics data. The second part of the proteomics week saw seventy-two delegates gather at the Adler Museum of Medicine (Wits Parktown Health Sciences Campus) to attend the South African Proteomics Symposium. 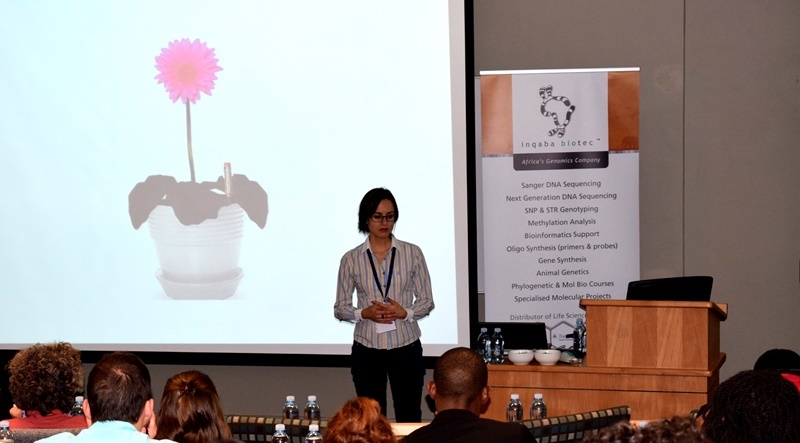 The symposium was opened by Dr John Becker (ACGT – Centre manager) and Prof Michele Ramsay (Champion: Molecular Biosciences Research Thrust, University of the Witwatersrand). 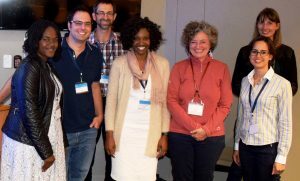 Prof Kathryn Lilley and Prof Stephen Pennington each gave a keynote address followed by presentations from top proteomics researchers in South Africa. 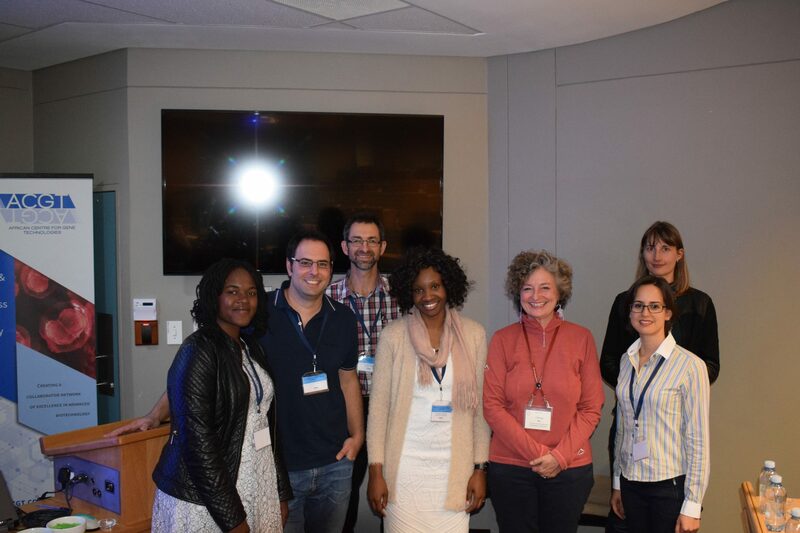 These South African researchers represented the following institutions: African Health Research Institute, CSIR, CPGR, Fort Hare University, North West University, Stellenbosch University, University of Cape Town, University of the Western Cape as well as the University of the Witwatersrand. The following event sponsors also gave talks at the symposium: Microsep, Anatech Instruments and Separations. 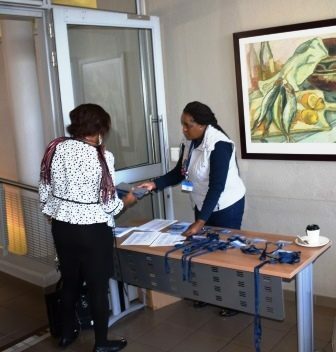 Click here to view the symposium booklet that contains the full programme as well poster abstracts for posters that were displayed at the symposium. 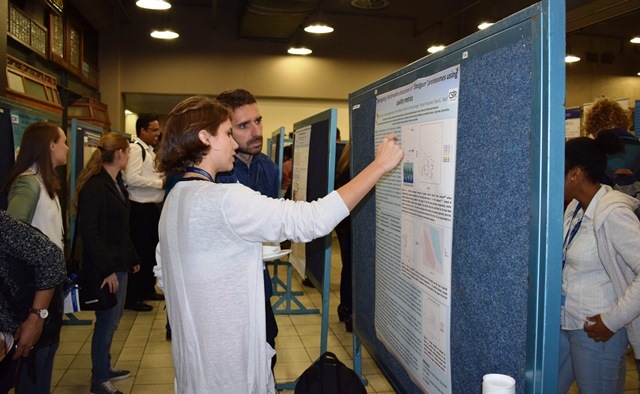 Both the workshop and symposium gave the delegates the platform to interact with world class proteomics researchers and to explore opportunities (postdoctoral fellowships, collaborative opportunities, etc.) that may arise from the proteomics week. 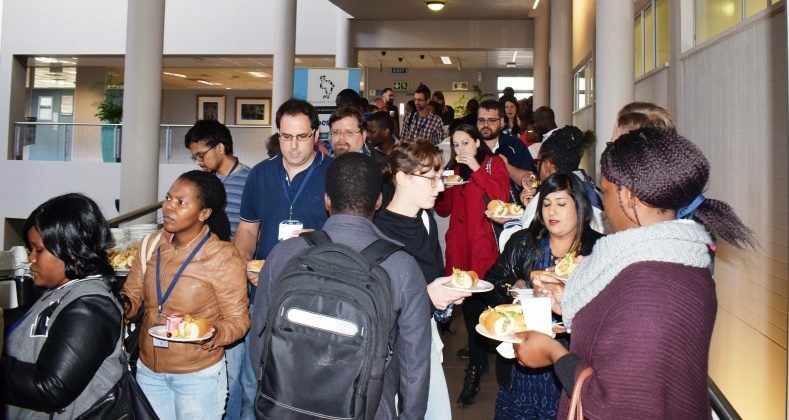 This week also provided the delegates with a platform to network with each other for possible future collaborative opportunities- as well as to informally have discussions around the formation of a Proteomics Society of South Africa. The ACGT has made itself available to assist in the establishment of this society. 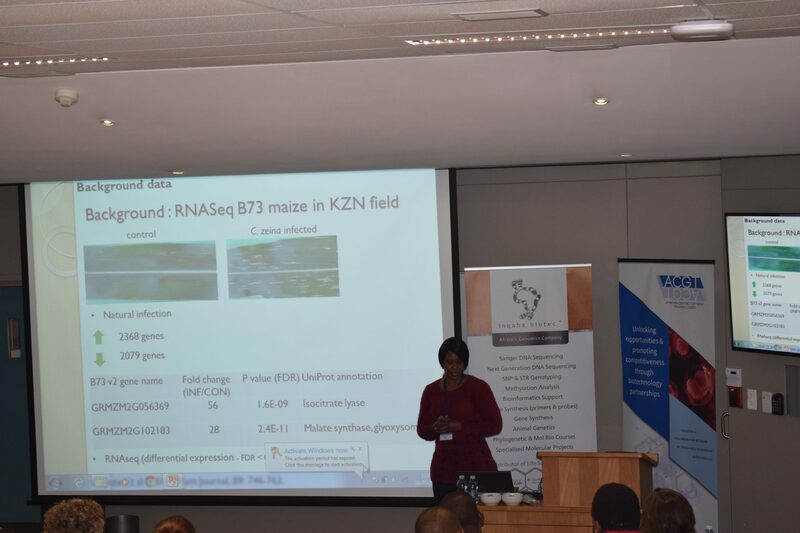 This process will be guided by the proteomics community of South Africa that the society will serve. 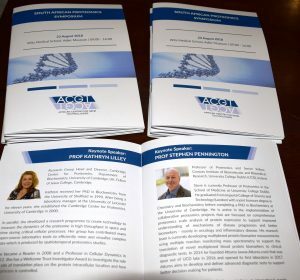 The ACGT would like to thank the following sponsors for financial assistance to make the workshop and symposium possible: Anatech, CPGR, DIPLOMICS, inqaba biotec, Microsep, Separations and The Scientific Group. Twenty years after the adoption of the first White Paper on Science and Technology (DST) in 1996, the Department of Science and Technology began developing a new draft White Paper on Science, Technology and Innovation (STI), which was approved by Cabinet last week. The new document will ensure a growing role for STI in building a more prosperous and inclusive society. It focuses on using STI to accelerate inclusive economic growth, make the economy more competitive and improve people’s everyday lives. 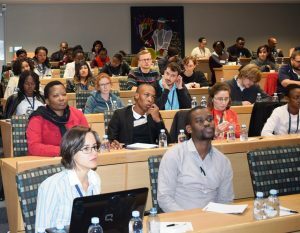 The review of the 1996 White Paper, which included broad consultation within the national system of innovation, showed that, while there has been good progress in the implementation of this document, South Africa has not yet fully benefited from the potential of STI to advance the objectives of the National Development Plan. The STI institutional landscape is a case in point. It has been expanded and there has been a threefold increase in publications, significant growth in the participation of black people and women in the research and development workforce, and a rise in doctoral graduation rates. However, challenges remain, and the national system of innovation is still not fully inclusive. Since the adoption of the 1996 White Paper, the world has changed. The Fourth Industrial Revolution, which is rapidly transforming the way people interact, transact and learn is already well advanced in the developing world. To enable South Africa’s effective participation in this new world order, which is bringing increasing automation and digitisation, the Department of Science and Technology has developed a new policy document. The new draft policy focuses on two main goals, namely, to ensure that South Africa benefits from STI for economic growth, social development and transformation, and to respond to the risks and opportunities brought by rapid global technological advancement and other global changes. With rapid change comes increasing uncertainty about the future, particularly for emerging markets like South Africa’s. The new draft White Paper has considered a number of megatrends spanning the geopolitical, economic, social, technological and environmental spheres. These megatrends include a growing population, increased consumption driven by an expanding middle class in emerging economies, the rise of China and India, and the impact on the natural environment. The degree to which countries prepare for these changes will determine whether they thrive. Some of the megatrends are creating market opportunities. For example, the growth of a middle class in emerging economies, and the high proportion of young people in the total population in Africa – the so-called “youth bulge” – are stimulating manufacturing, widening markets for mobile telephones and creating job opportunities for ICT-enabled young entrepreneurs in the services sector. South Africa can benefit from these opportunities by using technology to modernise sectors such as agriculture and mining and increase exports to growing markets. Innovation is required to address needs arising from these megatrends, such as protecting the environment and improving service delivery. Rapid technological change is driving some of these megatrends to shape a world that will soon look very different. The lines between physical, digital and biological systems are becoming blurred, and governments around the world are planning for the impact of the Fourth Industrial Revolution. In particular, it is necessary to prepare for the ways in which artificial intelligence and advances in ICT will change the way society and the economy function. Already, traditional jobs are being lost due to automation and traditional commerce is being disrupted by the move to online, just-in-time personalised services and products. The role of cryptocurrencies in the digital economy is uncertain. The possibilities are exciting and the implications vast. STI lies at the heart of the preparation for this emerging future, and South Africa therefore needs to build on progress in areas such as biotechnology, nanotechnology, advanced manufacturing, and ICT research and innovation. This White Paper proposes policy interventions to accelerate skills development, leverage ICT, commit to openness, and support inter- and transdisciplinary research. It also puts in place mechanisms to institutionalise foresight capacity to assist collaborative planning across government for STI. South Africa needs to set its innovation agenda at the highest level of government and business so that all actors pursue the same objectives and pool resources where possible. The Presidency will therefore chair an STI Plenary meeting, involving business leaders, academic experts in the field of STI, government departments that have a focus on STI, and leaders from civil society. Among other matters, the STI Plenary will discuss STI priorities. 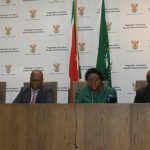 To ensure that STI is integrated into the planning of relevant government departments and that the STI programmes have sufficient funding, an Interministerial Committee on STI, chaired by the Minister of Science and Technology, will be formed. To provide the necessary data on and analysis of STI progress and enablers, the National Advisory Council on Innovation will be strengthened. While government has an important role to play in enabling and stimulating STI, it cannot do it alone. The White Paper therefore has a strong focus on including business in STI planning (at the level of the STI Plenary, but also at the level of, for example, the mining or agricultural sector level) and on support measures for business, for instance, by means of incentives for small and medium enterprises and the direct funding of research and development through Sector Innovation Funds. The White Paper also draws civil society formally into STI planning and aims to empower civil society to distribute the benefits of technology to communities, as well as to help identify and support grassroots innovators. 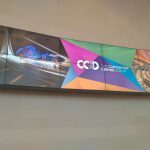 All government departments working in areas that affect STI will embrace a national innovation compact to ensure that there is policy coherence across the national innovation system, and that immigration, education, trade, competition and procurement policies, to name a few, support innovation. The various incentives offered by government for STI will be aligned to ensure synergy rather than duplication in using the available funding, and their administration will be improved to ensure effectiveness. Government procurement will support locally developed technologies. Local innovation systems will be stimulated by, for example, walk-in innovation centres for communities and more incubators, and encouraging the involvement of local universities. Measures to create greater access to STI information such as solutions developed at universities will be created through an open science approach. Civil society will be involved in high-level government planning for STI programmes and will be supported through training, funding and networks to play a stronger role. Support for grassroots and social innovation, when linked to provincial and local development strategies, will have significant transformative results. 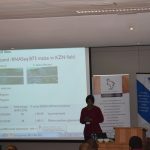 The intellectual property regime for publicly funded research and development (R&D) will be reviewed to expand South Africa’s patenting. Intellectual property generated from publicly funded R&D will be used to help increase black and female ownership of new technology-based companies. Government itself will become more innovative in using digital information and innovative technologies for service delivery. This will involve accelerated digitisation, establishing innovation units in STI-intensive departments, and increasing the movement of human resources between government, science councils and business, among other things. A policy nexus will be developed to achieve collaboration, increased funding, and policy coherence to improve educational outcomes from early childhood and school level (to increase the number of Grade 12 university exemption passes with Science and Mathematics – the pipeline) and higher education (to further increase the number of PhDs produced, and improve the representation of blacks and women). Internships and training opportunities abroad are to be expanded. The untapped potential of historically disadvantaged universities and universities of technology will be used. There will be increased support for research, both basic and transdisciplinary. South Africa’s gross expenditure on research and development as a percentage of GDP, which is currently about 0,76%, needs to be increased to 1,5% over the next decade. This will be done through improved incentives for business R&D, contributions to public STI by provincial governments, and expanding measures to attract foreign funding for South African STI. An annual STI investment framework, linked to the national STI agenda, will be developed to direct the allocation of public funding to priority STI programmes. The White Paper sets the high-level, long-term policy direction for the next five to 15 years. It will be implemented through regularly updated decadal plans, which will be based on performance evaluation and foresight, as well as collaborative planning with relevant business sectors and government departments. The decadal plans will detail the deliverables, partnerships and funding required, as well as the indicators that will be used to measure progress. To this end, the National Advisory Council on Innovation is currently undertaking a foresight exercise for South Africa. The truest test of this White Paper will be the impact that it has in realising the potential of STI to support the achievement of the National Development Plan and to help change the reality of South African’s lives over time. This is a draft White Paper released for public consultation. Members of the public have 30 days to make inputs. After the comments have been integrated, we intend to have a summit on 9 November 2018 to engage various stakeholders on the White Paper before taking the final document to Cabinet for approval. For the full document visit www.dst.gov.za. 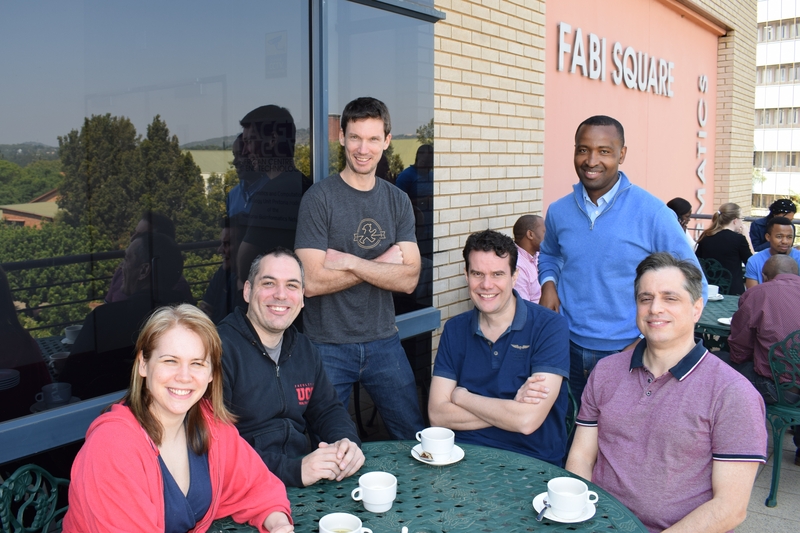 The end of June 2018 marked a significant moment in the South African metabolomics research space as the Metabolomics Association of South Africa (MASA) was officially affiliated to the International Metabolomics Society (IMS), effective 1st July 2018. 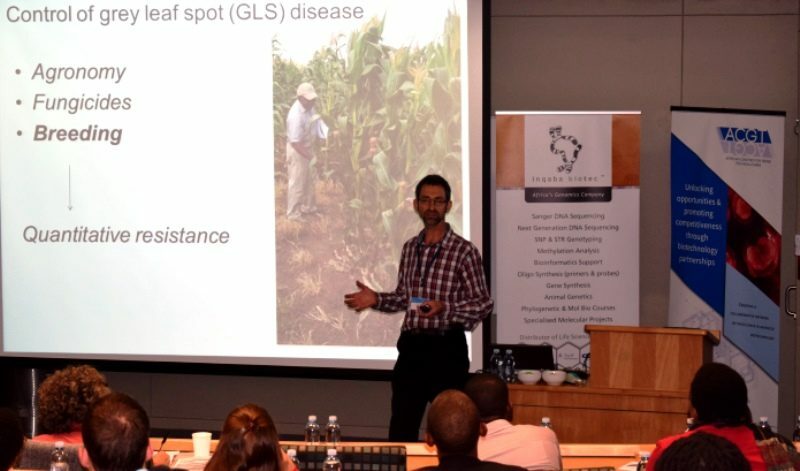 Supported by the ACGT, in a stakeholder meeting held in January 2018 at the CSIR International Convention Centre (ICC) in Pretoria, local metabolomics representatives from several research institutions and industry, unanimously agreed to formally establish a non-profit organization, the MASA, and seek affiliation to the IMS. 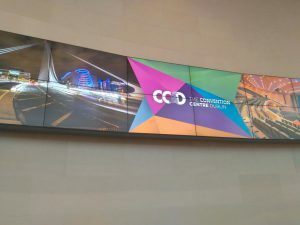 Such motion rose from the realisation of benefits of having a local structured platform that would provide the opportunity for collaboration among scientists in the field and related sciences, and connection between academia, government and industry. 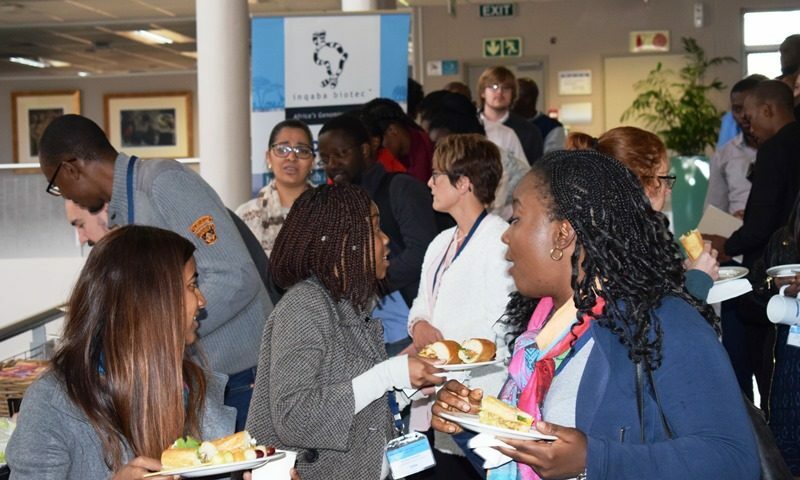 This would promote and improve the profile of metabolomics research and technology in South Africa, foster networking, training, capacity building, information sharing, mentoring, career opportunities, leadership training and professional development. Furthermore, the affiliation with the IMS provides international recognition, enhances the local association’s effectiveness and promotes awareness of locally and internationally available resources and joint initiatives of mutual benefits. 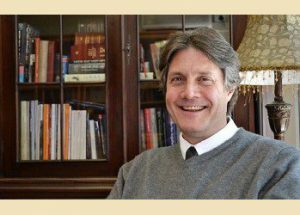 Prof Gerhard Prinsloo (University of South Africa) – Member. The MASA chairman, Dr Fidele Tugizimana, already serves on several IMS committees and was nominated to spearhead the registration and affiliation of MASA with the IMS. Dr Tugizimana, with the assistance of the committee, compiled the required documentation for the application for MASA to be affiliated with the IMS. 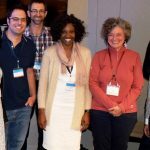 The documents and application were submitted by Dr Tugizimana a few days before the 14th International Conference of the Metabolomics Society, held in Seattle from the 24-28th of June 2018. The IMS president, Prof Jules Griffin, announced during the opening and closing sessions of the conference that the MASA was officially affiliated with the IMS. During the international affiliates meeting, the president of the IMS confirmed that the IMS will support the MASA’s activities, particularly in training and other activities which boost the profile of metabolomics research in SA. Prof Griffin also highlighted that he would be happy to join future MASA symposia or conferences, if the dates match his availability. 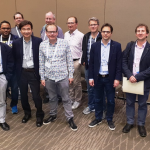 Representatives from all the IMS international affiliates after their meeting in Seattle, USA. Dr Fidele Tugizimana is to the far right with president of the IMS, Prof Jules Griffin, next to him. 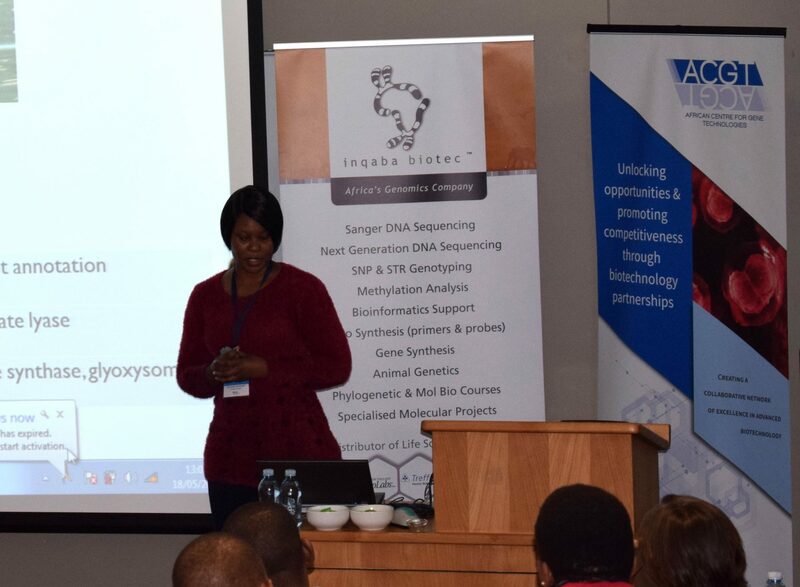 MASA will promote the growth and development of the field of metabolomics, particularly in South Africa and on the continent of Africa. 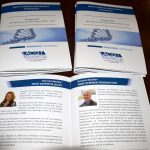 MASA will also provide the opportunity for association and collaboration among scientists and connections between academia and industry in the field of metabolomics; provide opportunities for presentation of research achievements and for training workshops; promote the publication of meritorious research in the field; and furthermore, facilitate any other activities in support of and to benefit the above purposes.The affiliation will provide opportunities for bursaries and fellowships associated with the local metabolomics association. The MASA committee will meet soon to lay out plans for future activities, branding, websites and other logistical steps. 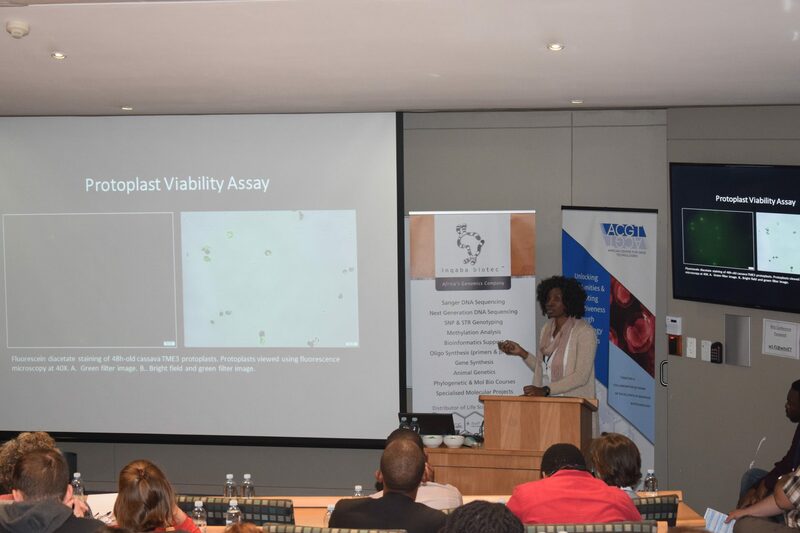 Once the MASA has gained further momentum, plans to host the International metabolomics conference in South Africa will be considered as per the IMS policy to rotate the conference location across the globe. The ACGT will continue to inform and update the metabolomics community on all developments. For any queries or additional information, kindly contact Mr Molati Nonyane, ACGT Liaison Scientist (az.ca1555892579.pu@e1555892579nayno1555892579n.ita1555892579lom1555892579 or 012 420 6845). One of the objectives of the African Centre for Gene Technologies (ACGT) is to improve the advanced biotechnology skills level of scientists in South Africa. The quality of the work done locally should match, or even exceed, related work from any part of the world and the best way to do that is through continuous capacity building efforts. 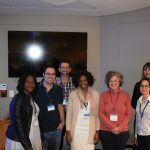 To this end, the ACGT recently facilitated two metabolomics workshops to provide a platform to address key issues and challenges in the field of metabolomics, including subsequent data analyses. 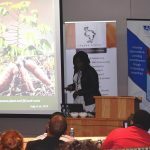 The two workshops were meant for different audiences and were held at the University of Pretoria. 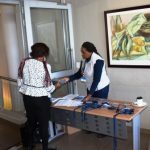 The first was an Introductory Workshop that ran from the 12th to the 14th of March 2018. 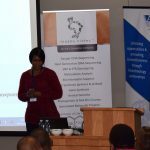 This event was aimed at those who have limited knowledge of metabolomics techniques and applications. The second, an Advanced Workshop, subsequently ran on the 15th and 16th of March 2018 and covered more advanced topics in the field. The latter workshop was intended for those with existing metabolomics knowledge and already working with some metabolomics techniques, or are actively engaged in data analyses emanating from metabolomics experiments. Both workshops were designed to include a mixture of lectures, interactive round-table discussions and computer-based practical sessions. 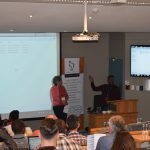 The Introductory Workshop covered topics that ranged from experimental design, introduction to techniques, applications of metabolomics, analysis of metabolomics data, metabolite identification, statistics and metabolomics data interpretation. The Advanced Metabolomics Workshop focused on advanced data analysis, quantitative metabolomics, metabolomics networks and data sharing. 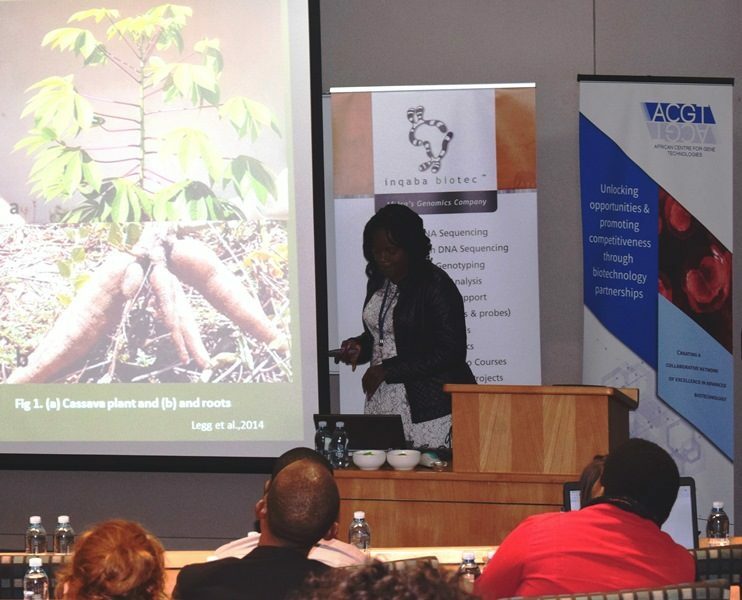 The participants hailed from the ACGT partner institutions, as well as institutions outside the partnership, including previously disadvantaged research institutions (University of Pretoria, University of Johannesburg, University of the Witwatersrand, Agricultural Research Council, Council for Scientific and Industrial Research, North-West University, University of South Africa, Tshwane University of Technology and the Central University of Technology (Free State). 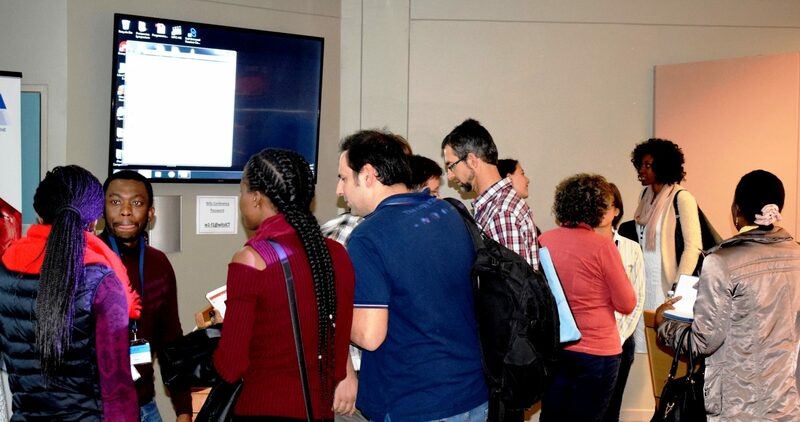 Delegates exhibited different scientific backgrounds and had the chance to get to know each other through two-minute elevator-type flash presentations on the first day of each workshop. 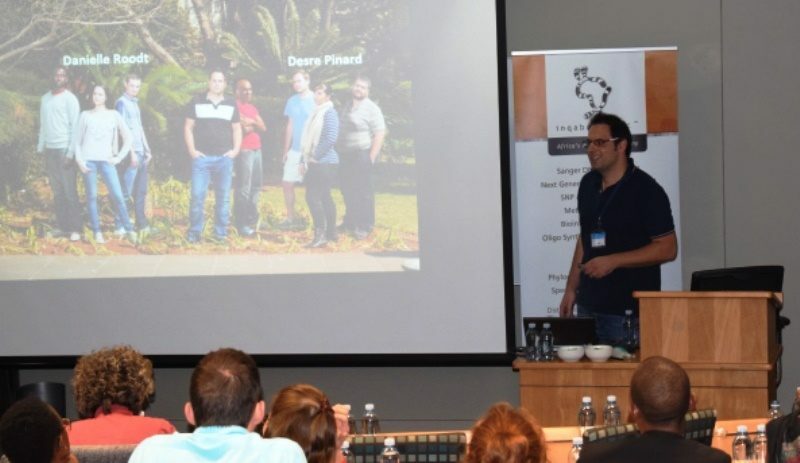 The workshops were facilitated by a team of renowned metabolomics experts, both local and international. 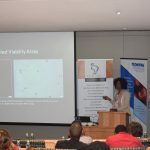 The local facilitators included Dr Fidele Tugizimana and Professors Ian Dubery and Paul Steenkamp from the University of Johannesburg. 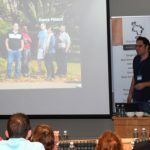 The international facilitators included Dr Reza Salek from the University of Cambridge, Dr Jos Hageman from Wageningen University, Dr Fabien Jourdan from the French National Research Institute for Agricultural Research, and Drs Naomi Rankin and Karl Burgess (both from the University of Glasgow). 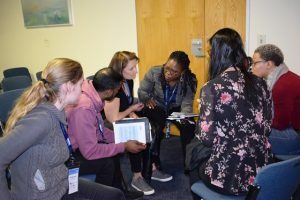 Following the brief ice breaker presentations by the individual participants on their backgrounds and areas of interest, the workshops then proceeded onto a variety of subjects that influence and shape metabolomics research. 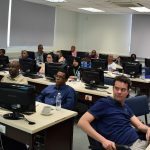 Web tools and practical applications of metabolomics were demonstrated, as well as hands-on exercises that focused on data analysis and interpretation. 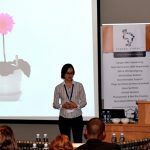 The sessions were kept as interactive as possible to create a relaxed environment where the participants could ask questions pertaining to their own work. 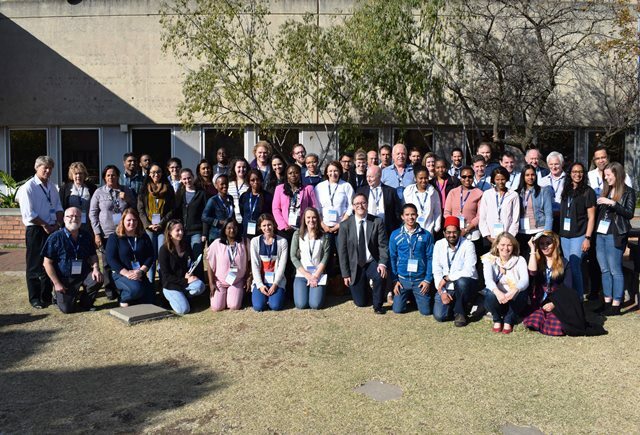 The ACGT and all of its partners would like to extend enormous gratitude to all those who contributed to making these workshops a success, including the facilitators who again took a lot of time out of their busy schedules to contribute to capacity building in South Africa. The ACGT would also like to wish all the participants of the workshops all the luck with their work and future in metabolomics. There has since been positive feedback from the participants of both workshops. There was a general sense from the workshop evaluations that the workshops were informative, practical and interesting. The participants enjoyed interacting with the expert facilitators from different parts of the globe. They felt that the facilitators were knowledgeable and showed willingness to help. Moving forward, there are plans to adjust the duration of the course to increase subject coverage, as well as to include additional practical sessions. Due to limited space, the Centre could not host everyone that applied, but the ACGT encourages those that were not placed this year to keep an eye out for future workshops. 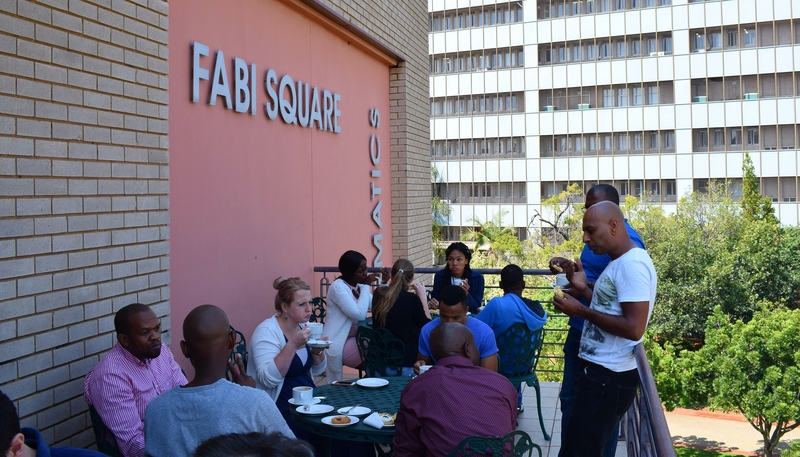 The workshops represent one of the means towards building a sense of community- further building on a stakeholder session that was facilitated earlier in 2018 towards the establishment of a more formal grouping of metabolomics stakeholders. More news on the establishment of an association to follow soon. 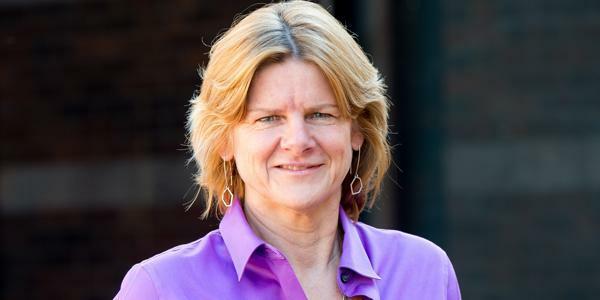 In awarding Professor Lynn Morris with the 2018 TWAS Prize in the Medical Sciences category, the Academy praised her “pioneering studies on the neutralizing antibody response to HIV infection that has provided fundamental insights for HIV vaccine development”. The TWAS Prize, announced in December 2017, carries a cash award of US$15 000 and the winners will deliver a lecture about their research at TWAS’s 28th General Meeting in 2018, when they will receive a plaque and the prize money. 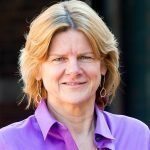 Morris is a Highly Cited Researcher on the Clarivate Analytics list compiled annually that recognises leading researchers in the sciences and social sciences globally. Morris holds a joint appointment as Research Professor in the Faculty of Health Sciences at Wits University and Research Associate at the Centre for the Aids Programme of Research in South Africa (CAPRISA). 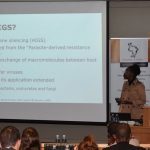 She is the Head of the HIV Virology Laboratory within the Centre for HIV & STIs based at the National Institute for Communicable Diseases at the National Health Laboratory Services. In June 2017, Morris received the prestigious Harry Oppenheimer Fellowship Award for her scholarship and research excellence. 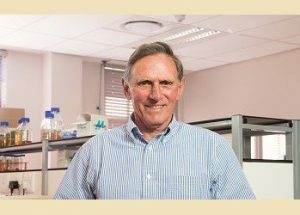 Prof Robert Millar, Director of the Centre for Neuroendocrinology at the University of Pretoria, has been honoured with a Kwame Nkrumah Award for Scientific Achievement by the African Union in the category of Life and Earth Sciences at the Continental level. This is the highest level of the awards programme, which also recognises young scientists at a national level and women scientists at a regional level. The prize carries a grant of US$100 000. “I am deeply honoured by the African Union’s award which recognises the importance of our ongoing scientific research to improve lives all over the continent and in the training of young African scientists. The gathering of the heads of all African states was immensely impressive and underlines the potential to harness Africa’s science talent and make the continent a global player in research and I pledge my commitment to this endeavour. 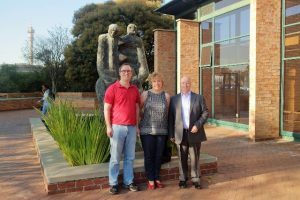 My group will continue to look for new and more effective treatments for diseases which lead to considerable suffering and pain,” said Prof Millar. Prof Millar’s research is in the field of neuroendocrinology, where he has specialised in peptide regulators of reproductive hormones. He pioneered the discovery of the Gonadotropin Releasing Hormone (GnRH) prohormone, novel GnRH structures, and the first cloning of the GnRH I and GnRH II receptors. He has participated in and led a number of programmes developing GnRH analogues for use in a wide range of clinical pathologies. 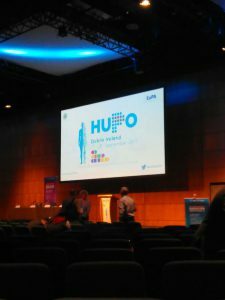 His research has contributed to the development of the primary treatment for prostate cancer, the sole treatment for precocious puberty and treatments for hormone-dependent diseases in women such as endometriosis, as well as in vitro fertilisation. He was the recipient of a National Science and Technology Forum (NSTF) Lifetime Achiever Award during 2013 to an individual for his outstanding contribution to Science, Engineering, Technology and Innovation (SETI) during his lifetime. In 2017 he received the Platinum Medal of the Medical Research Council and the Harry Oppenheimer Fellowship and Gold Medal. 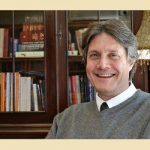 Prof Millar is a Fellow of the Royal Society (Edinburgh), a Fellow of the Royal Society of South Africa and a Fellow of the Academy of Science of South Africa (ASSAf). He has published 450 articles in internationally peer-reviewed journals (cited over 20 000 times) and has an H-index of over 70. Prof Millar is also an NRF A-rated scientist. A team of South African researchers which includes researchers from the University of Pretoria (UP) recently completed a study aimed at unlocking the unique genetic character of southern African populations. 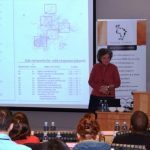 The study involved the genetic sequencing of 24 South African individuals of different ethnolinguistic origins, the results of which revealed a high level of genetic diversity and highlights the potential implications for disease susceptibility in Africans. 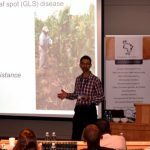 The study was the first government-funded human genomics research study to be performed on African soil. 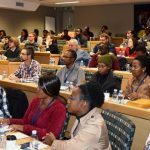 Funded by the National Department of Science and Technology (DST), the focus of the Southern African Human Genome Programme was to capture a full spectrum of diversity in populations that are under-represented from the genomic perspective. To achieve this, the sample group for the study was compiled to include ethnically self-identified individuals of different ancestries, after which whole-genome sequencing was used to study the differences in some of the major ethnolinguistic groups in the country. 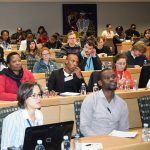 The sample group consisted of eight mixed-race or coloured individuals from the Western Cape, seven Sotho speakers from the Free State, eight Xhosa speakers from the Eastern Cape and one Zulu speaker from Gauteng. The study aimed to explore the ancestral compositions of these individuals, including maternal and paternal lineages, using novel whole-genome sequence data. 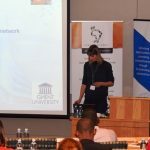 The results indicate that despite a short period of geographic and cultural separation between Nguni and Sotho-Tswana speakers, there are measurable genetic differences between them. The team explains that these are in part the result of varying regional ancestral contributions, but also of a random process of genetic drift. Paternal ancestry was almost exclusively of African origin, while maternal ancestry was often of Khoesan origin, which is consistent with previous studies showing cross-cultural assimilation of female hunter gatherers into Nguni and Sotho-Tswana speaking farming communities. Coloured individuals in turn, showed varying proportions of admixture with Khoesan, African and European populations, as well as populations from the Indian sub-continent. After the inclusion of additional representative populations in the analysis, the study revealed a much stronger South Asian ancestry in the coloured individuals than indicated by previous studies. Although African populations are known to harbour the greatest genetic diversity and have the highest per capita health burden, they are rarely included in large genome studies of disease association. The team says that this diversity provides both a challenge and an opportunity for biomedical research and the hope that Africans will one day benefit from genomic medicine. Professor Michael Pepper, Director of the Institute for Cellular and Molecular Medicine, and a professor in the Department of Immunology in the Faculty of Health Sciences at UP, who is also the Unit Director of the South African Medical Research Council’s (SAMRC) Stem Cell Research and Therapy Unit, adds that the next step will be to use the knowledge gained through the team’s research to determine the potential impact the genetic variants could have on the health of individuals when health-related research is conducted. 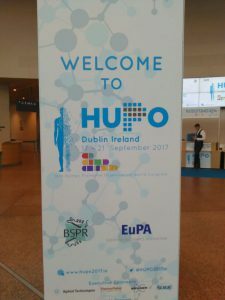 The 16th Annual World Congress of the Human Proteome Organisation (HUPO) was held at the Convention Centre Dublin in Ireland, from the 17th to the 21st of September 2017. HUPO is organised by the European Proteomics Association (EUPA) and the British Society for Proteomics Research (BSPR). The vision for HUPO2017 Congress was to “create a meeting that will bring together world leaders with a new generation of scientists to promote HUPO’s capabilities for advancing knowledge of the Human Proteome and the impact this will have on understanding health, disease and ageing”. Cellular Proteomics; Drug & Biopharmaceutical Proteomics; Systems, Bioinformatics & Omics Data Integration; Disease & Clinical Proteomics; Precision & Personalised Proteomics; and the Human Proteome Project (HPP). 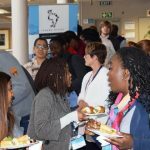 In addition to the concurrent themes, there were exhibitions, networking and poster viewing sessions which were well attended by delegates. Poster presenters had an opportunity to share their work and also get some valuable suggestions from proteomics world experts that visited their posters. 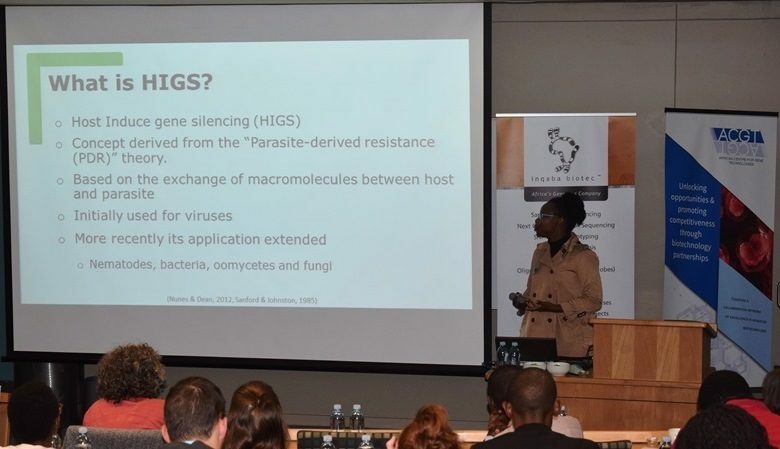 A representative from the African Centre for Gene Technologies (ACGT), Mr Thabo Khoza, attended the congress. 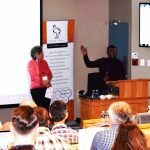 Mr Khoza is a Liaison Scientist at the ACGT and has been responsible for bringing the proteomics community together through symposiums and workshops for the past 4 years. This was the 2nd time Mr Khoza attended the HUPO congress. 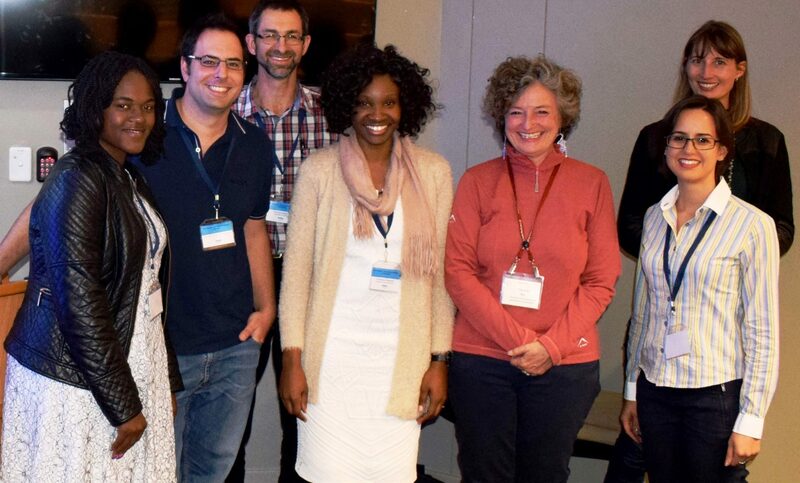 This time around, Mr Khoza was tasked to meet with a few world experts in the field to share ideas on forming a proteomics society for South Africa. Mr Khoza met with Prof Stephen Pennington (Chair of the Ireland HUPO organising team and Professor of Proteomics at the University College Dublin Conway Institute), Dr Maarten Dhaenens (President of the European Proteomics Association and researcher at Ghent University), Prof Kathryn Lilley (Director of the Cambridge Centre for Proteomics, University of Cambridge) and Prof Lennart Martens (Professor of Systems Biology at Ghent University, and Group Leader of the Computational Omics and Systems Biology group in Ghent, Belgium). All four world experts stressed the importance of a functioning society that would address the needs of the proteomics community and create an effective space for networking and collaboration. 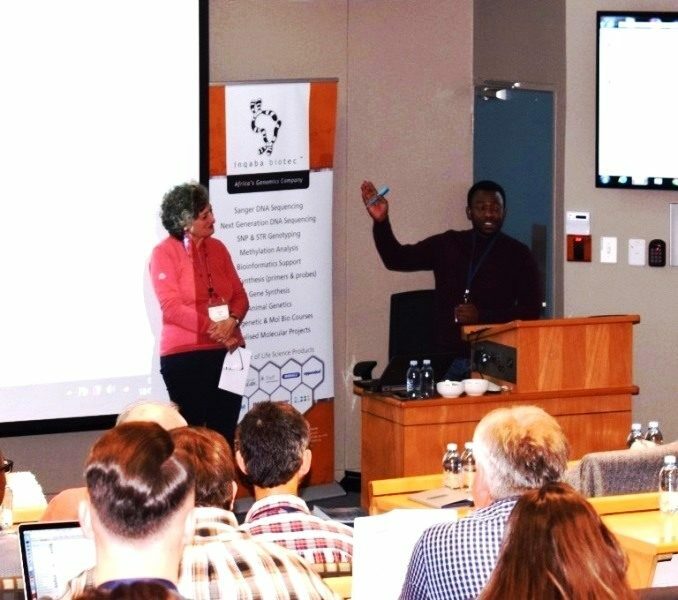 Mr Khoza was able to identify a number of researchers who could potentially come to South Africa to facilitate future workshops for the South African proteomics community. 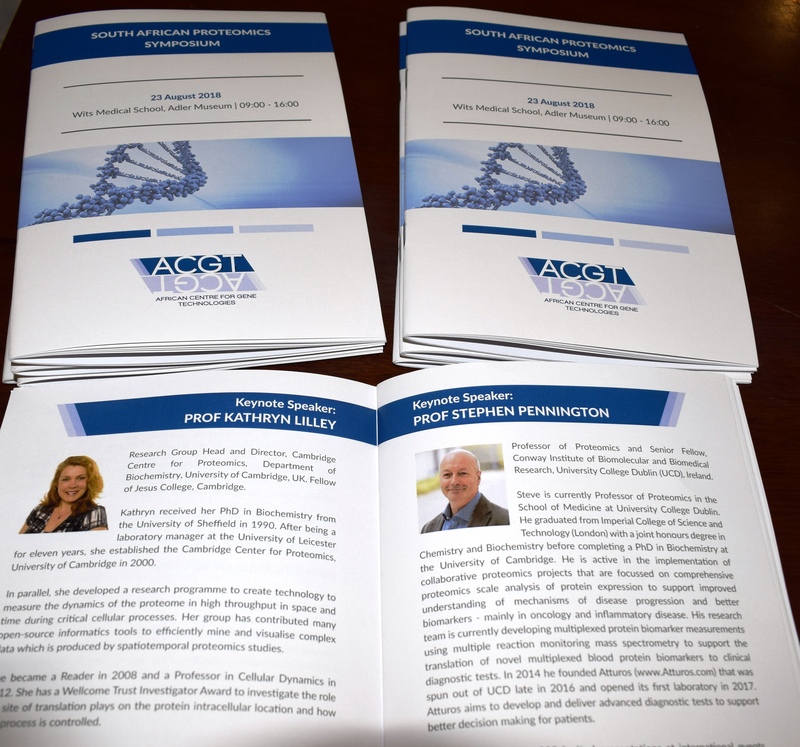 These researchers presented some of the talks that stood out during the congress. 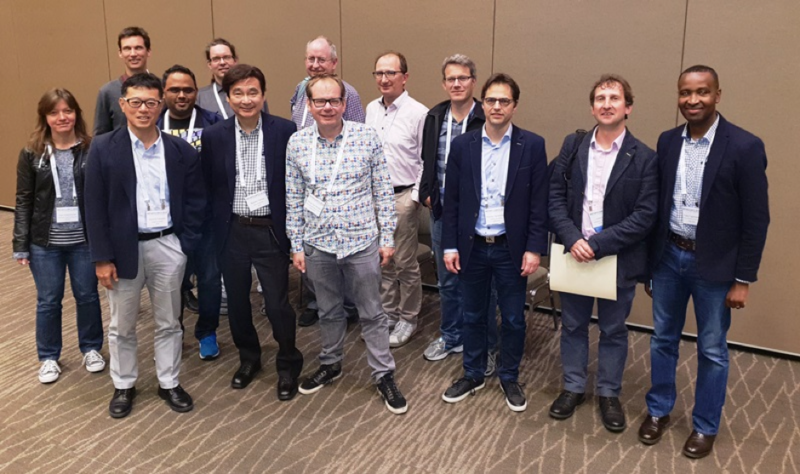 The talks included those by Ben Collins, who gave a talk on “Quantitative Interaction Proteomics: Insights into Biological Systems” and Ruedi Aebersold, who gave a talk titled “The Protein in context”. Matthias Uhlen who’s talk was titled “The human protein atlas – implications for human biology, drug development and precision medicine” stressed the importance of transcriptomics, handling of big data, the focus of tissue-specific proteome and having a pathology atlas in addressing concerns associated with the human biology, drug development and precision medicine. 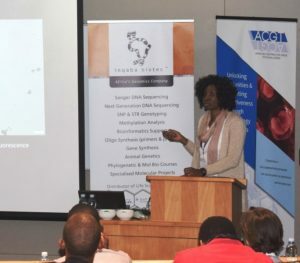 Through the interactions that Mr Khoza had at the congress, the ACGT plans to have two proteomics workshops in 2018 as well as engage the South African proteomics community to establish a proteomics society. 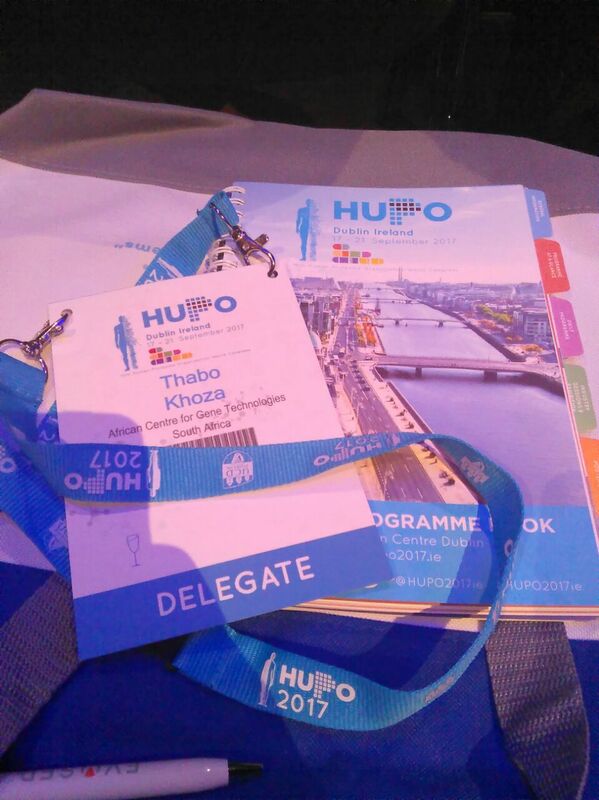 The congress was a great platform for networking. 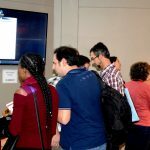 It was well attended by delegates from all over the world, with a common interest in proteomics and how it can be applied in humans and other systems. 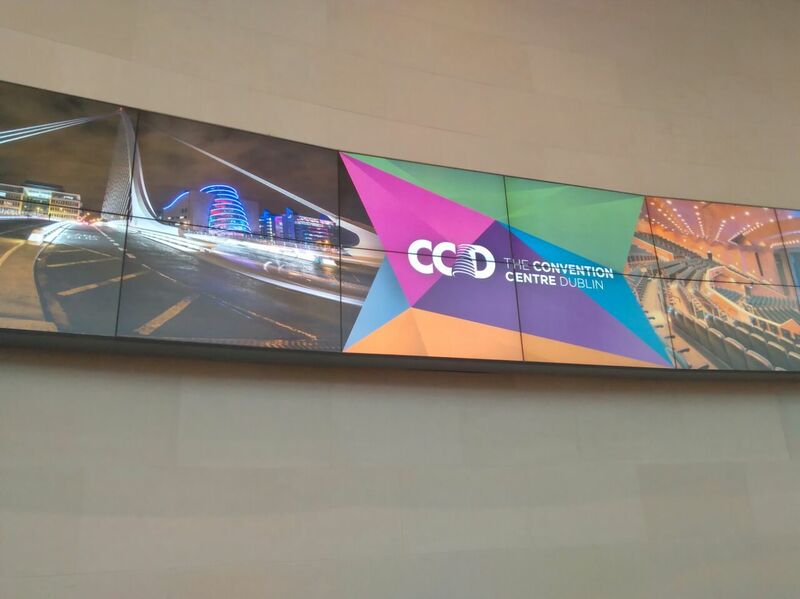 The next congress will be held in Orlando, USA from September 20th 2018 till the 3rd of October 2018.